Don’t accept a paltry settlement from a bus company for your injury when you deserve more. Fight back. In San Diego, El Cajon, La Mesa or any other San Diego County town? We can help. We’re expert bus accident lawyers and can help you get what your case is really worth. Though buses are widely considered one of the safest modes of transportation in the United States, bus accidents can – and do – happen. Contrary to popular belief about the safety of buses, in 2013 18,000 buses were involved in injury crashes with 38,000 people injured according to the Federal Motor Carrier Safety Administration. Though the fatalities for bus accidents are generally low, injuries can be severe due to the size of buses and the lax seatbelt requirements in these vehicles. San Diego area bus accidents have included anything from slip and fall injuries to broken bones, smashed limbs, and burns. This does not include the injuries sustained by the occupants of passenger vehicles struck by buses. When passengers are seriously injured in a San Diego bus accident, they may be able to take action to hold responsible parties accountable. That may be the bus driver, bus company or bus manufacturer. Victims can claim damages in a civil lawsuit that pays for pain and suffering, medical bills, psychiatric treatment, and even lost wages. Bus accident lawsuits can be complicated by issues of ownership and operation. Generally, bus carriers have a stronger duty of care and thus may be liable to pay damages to the injured victims when negligence can be proven. The location and circumstances of the bus accident can also strongly influence the amount available to accident victims. 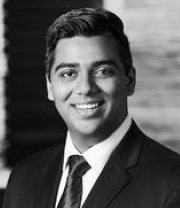 Given the complicated nature of bus accidents and the need for intense investigation and discovery, it is imperative that anyone who has been involved in a bus accident in the San Diego area and desires compensation for their injuries speak first to an experienced San Diego personal injury lawyer who has the necessary bus accident expertise. The right attorney can file your suit, shepherd it through court, and up your odds of prevailing and getting the compensation you deserve. 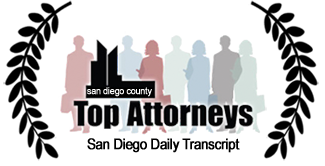 The attorneys here at the Elia Law Firm in San Diego are familiar with all aspects of personal injury and bus accident litigation in San Diego, surrounding areas, and throughout the state of California. Our client-focused practice doesn’t skimp on what’s important – an aggressive lawsuit that explores all legal avenues on a client’s behalf and a leave-no-stone-unturned approach to discovery and investigation. Committed to our clients’ rights and health, we stand up for clients in court and help them win the compensation they deserve. We are relentless in the pursuit of the maximum compensation for your bus accident injury. Our proven 98.5% success rate in obtaining the maximum allowable confirms that. If you’ve been injured in a bus accident, don’t stand back and take a token settlement, or worse, do nothing. And don’t delay – you may have limited time to retain an attorney and file a civil lawsuit. In the San Diego area? Call us today for more information and a free case consultation. There is no fee until we win! Do you even have a case? Find out. We have a 98.5% success rate in obtaining the maximum compensation for our clients. Put a winning team on your side! Call, email, or submit the form to the right for free case review. Never any fee until we win! Do you even have a case? FIND OUT!